Gain entry to the Whitney Museum of American Art, housed in a new building designed by world-renowned architect Renzo Piano. Located in New York City's Meatpacking District and hugging High Line Park, the 220,000-square-foot museum boasts one of the best art collections in the United States, including pieces by Louise Bourgeois, Edward Hopper, Jasper Johns and Andy Warhol, among others. As the preeminent institution devoted to the art of the United States, the Whitney Museum of American Art presents the full range of 20th century and contemporary American art, with a special focus on works by living artists. The Whitney is dedicated to collecting, preserving, interpreting, and exhibiting American art, and its collection—the finest holding of twentieth-century American art in the world—is it’s key resource. The Museum's signature exhibition, the Biennial, is the country's leading survey of the most recent developments in American art. Designed by architect Renzo Piano and situated between the High Line and the Hudson River, the Whitney's new building vastly increases the Museum’s exhibition and programming space, providing the most expansive view ever of its unsurpassed collection of modern and contemporary American art. Enjoy iconic works by Edward Hopper, Jackson Pollack, and Georgia O'Keeffe in natural light filled galleries and sweeping views of Manhattan on the Museum’s outdoor observation decks. 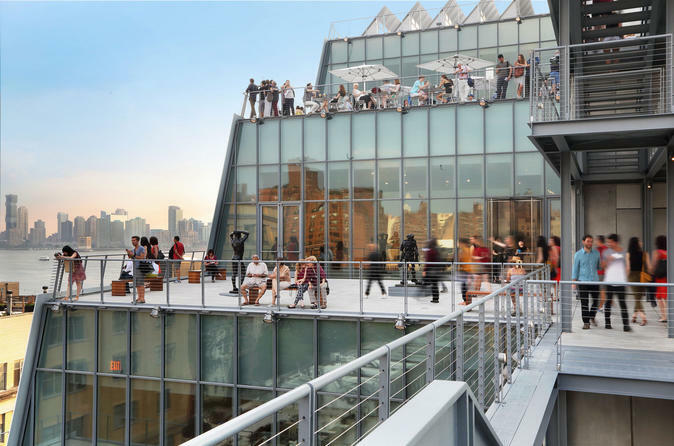 The Whitney welcomes you to the Meatpacking District, a 20 square-block neighborhood with a bustling community of artists, galleries, restaurants, and nightlife. The Museum is steps from the High Line, Chelsea Market, and a short walk from Greenwich Village, where the Museum was founded by Gertrude Vanderbilt Whitney in 1930.